Your family certainly appeared in lots of wonderful series and films and it’s such a pleasure to see your behind the scenes photographs! Thanks for sharing them! Sadly, “Swallows and Amazons” was never broadcast in France, but I enjoyed the DVDs very much, and your book is a great read! “Arthur of the Britons” has gathered a devoted fan following and is a “cult” series in Europe, too (UK, Germany, France, Italy etc…) Were you the “Perry Neville” credited for the “child” of the Wood People? 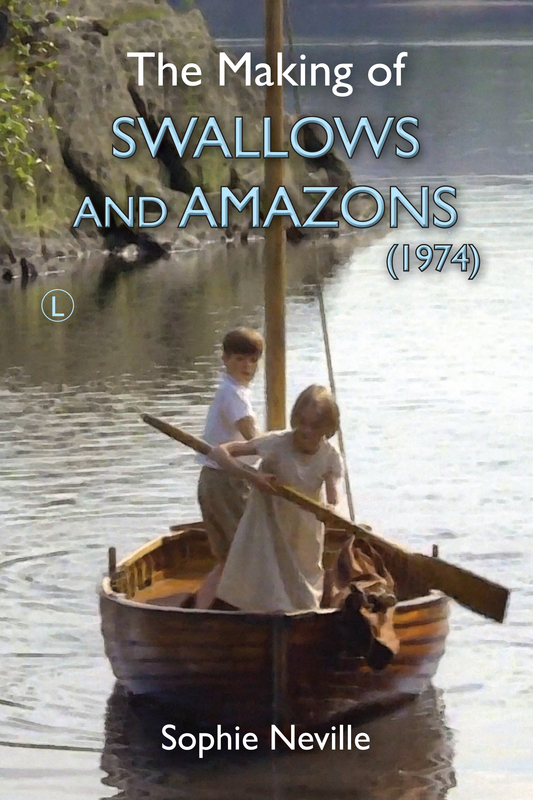 I am so glad to hear you have enjoyed the book about filming ‘Swallows & Amazons’ back in 1973. Do please add a review to the Amazon site! It would be hugely appreciated. I don’t have a review from France yet. ‘Arthur of the Britons’ was a phenomenon. My sister Tamzin played a Saxon child called Elka in one episode, whilst my sister Perry Neville was rather good as a little Woodchild in another story. My mother appeared with her as a woodperson hidden under a woven hood. I had a non-speaking role, as a Celtic child in another scene. I came across it on You Tube but can’t find it now. 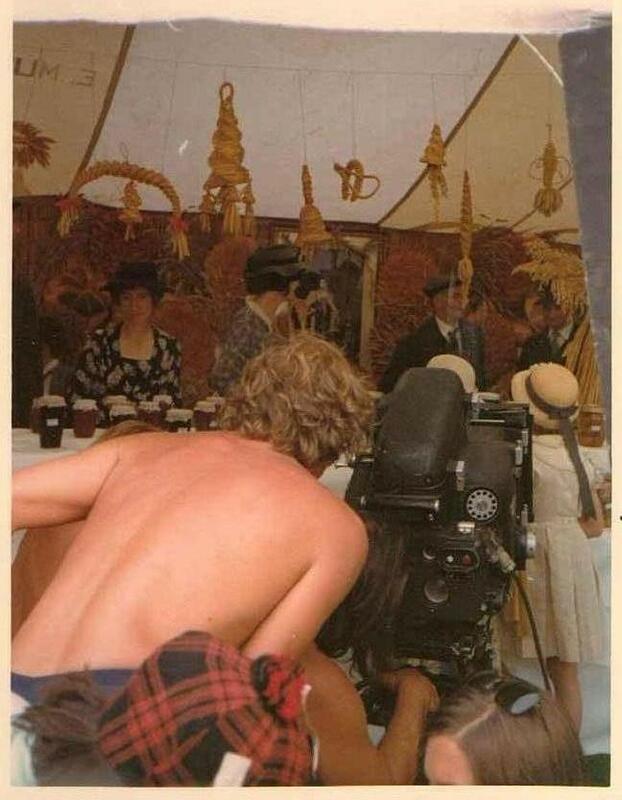 The whole series was shot near us in 1972 with some scenes recorded on my parents’ land in rural Gloucestershire, away from the sound of traffic. We spent quite a bit of time on location with Dominic and Shaun Dromgoole who I gather are now in the theatre. It was their father Patrick Dromgoogle who I understand masterminded the series. He had an exceptionally nice wife who became great friends with my mother while we were all on set together. Watching the series now is intriguing as it had such a strong cast. It was ground-breaking at the time. We all thought it hugely romantic and were swept away by the legendary drama, galloping horses and all. Both your sisters were very good in their appearances.The family likeness is so strong I almost believed they were one and the same, till I perused the end credits! They are so very cute and so honest in their acting that they are a pleasure to watch…Elka is such a wonderful character…. and she brought out some hidden depths in Kai. The Saxon children episode is very important for our understanding of his character. Was Elka’s wooden doll that kept losing her head your sister’s, or was it a prop? It’s difficult to imagine Elka without it. Do your sisters and yourself remember much about filming the series? It is such a beloved series that I’m sure everybody would love to know more about your memories of the filming of the series… Do you remember it? You must have been quite young. 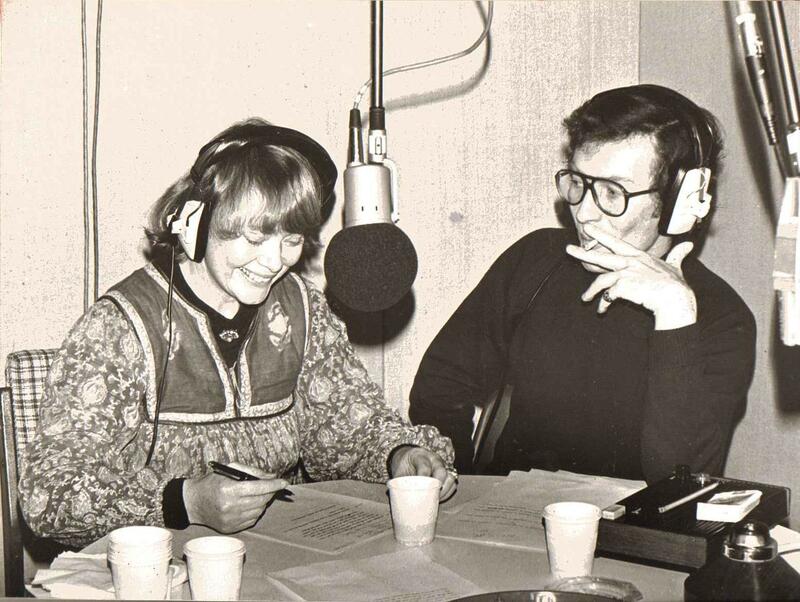 Have you seen my post about Tamzin’s career, which features a photograph of her with Oliver Tobias? Elka’s doll was indeed a prop. I will ask my sisters for memories of filming the series and post up the photos on another blog if you like. There are quite a few old black and white ones. Do let me know the YouTube code ref if you can find the clip in which I appeared. We was aged 11 with longish fair hair, dressed in a simple hessian dress and running up a slope near the village with other children. I can’t remember the title of the episode. Our farm was used for the sequence when all the baddies rush down from the wood and sink in the bog. Thank you for the link about Tamzin’s career. She seems to have had some fun with it! She was a natural! Her “feeding the squirrels” scene is truly funny. There is a wide shot of all the Wood People in the first few seconds of the episode. One of the girls seems to have long fair hair, but her hood hides her face. There is a quick shot of her at 03:10, and there is a scene involving some of the children beginning at 03:26 till 04:32. Are you referring to the race the children enter into to win Arthur’s whistle? Perry’s big scene begins on 08:51. It must have been very exciting to watch and to be involved in film making on your home turf when you were still so young. Did you watch the series during the first 1970’s run? I bet you tried to recognise the locations… it must have been really amusing for your family. The episode when the Saxons’ attack is driven back into the bog happens to be the very first of the series: ‘Arthur Is Dead’ ( http://www.youtube.com/watch?v=JfIdRpS-0CY ) I suppose they shot scenes out of sequence, and many episodes at the same time. It would be really great if your sisters and you could share online some memories and B&W behind-the-scenes photos! There is so little available information about this series that it would be a much appreciated treat. I might have been involved in the race but you can see me quite clearly in the scene I am thinking about. I wasn’t wearing a hat. I had forgotten that I was in it so much! I’ll see what b/w photos I can find. they are not terribly good, but then they are a little slice of History. I worked with Jack Watson in 1983 and Brian Blessed in about 1987. He is still going strong. Well, I’ll have to look harder, then… I’m not sure there are a lot of scenes with children in the series. Thanks for the photos… Many people would be very happy to see those! Will you be posting about your 1980’s work along Jack Watson and Brian Blessed? I MIGHT HAVE BEEN A CHILD AT THE SAXON VILLAGE. YOU CAN SEE A FEW PICTURES OF ME AND BRIAN BLESSED ON MY CAREER PAGE. HE WAS ALWAYS KISSING US. I’ve WRITTEN MORE ABOUT JACK WATSON IN MY NEXT BOOK, WHICH WILL COME OUT SOON.